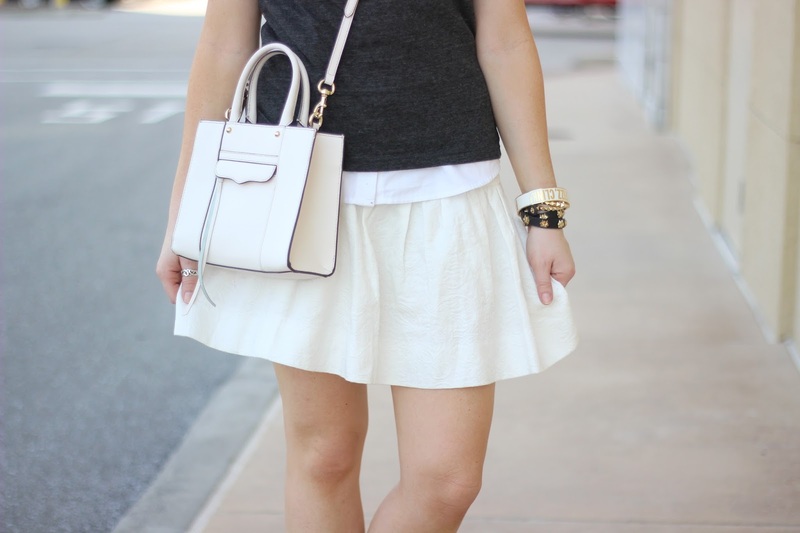 You can achieve this layered look with either a drop waist skirt (like I did), or a white drop waist dress. 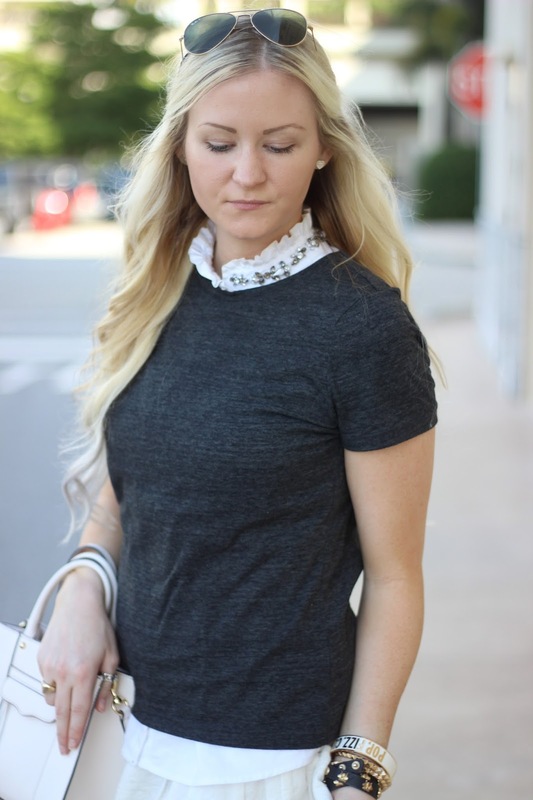 I layered a grey t-shirt over my sleeveless embellished oxford button down. 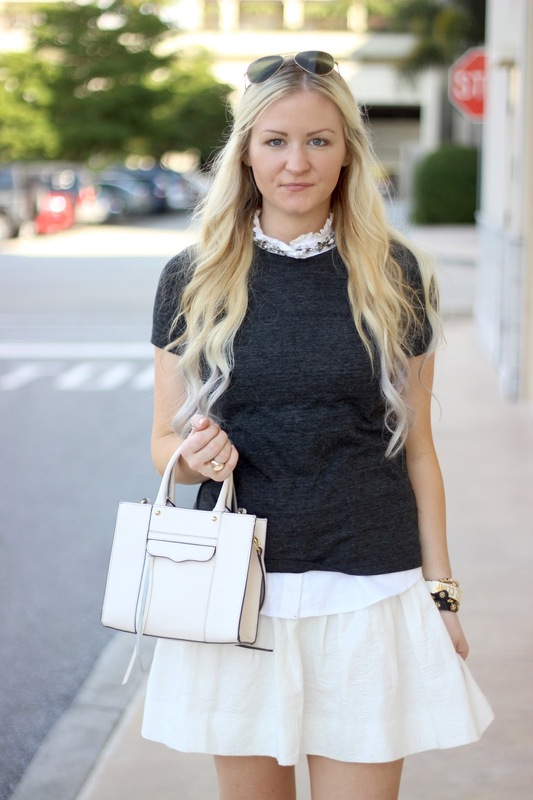 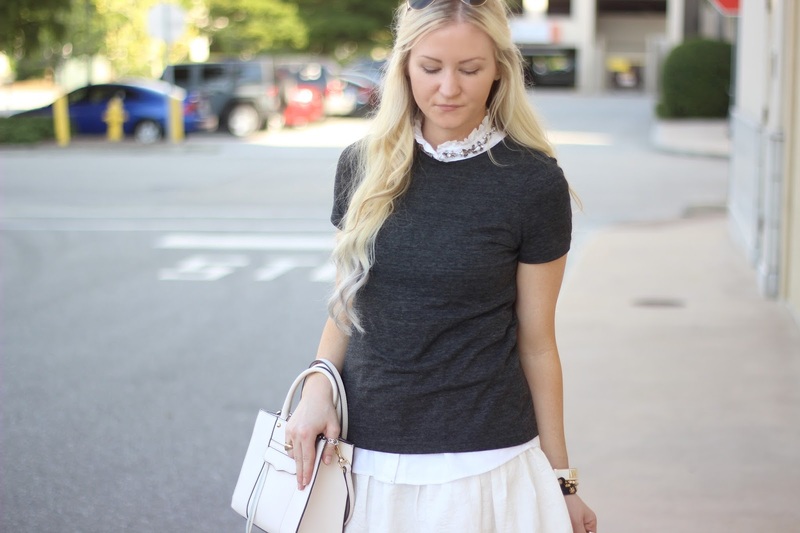 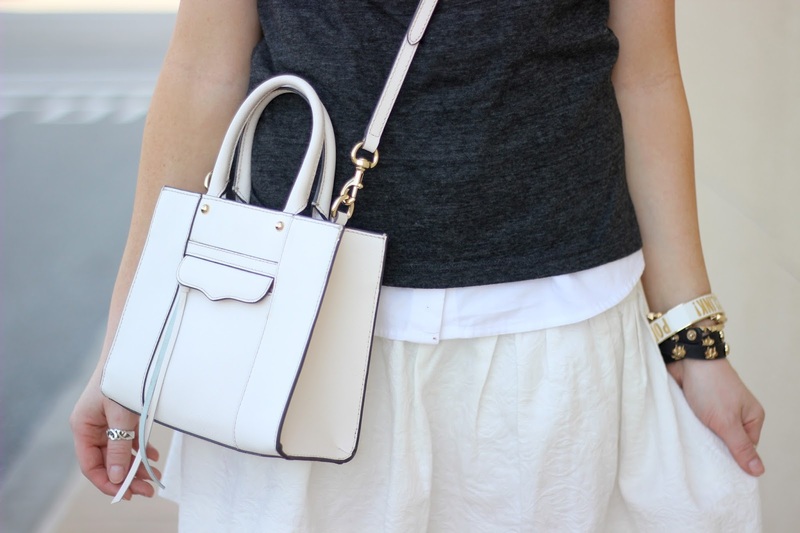 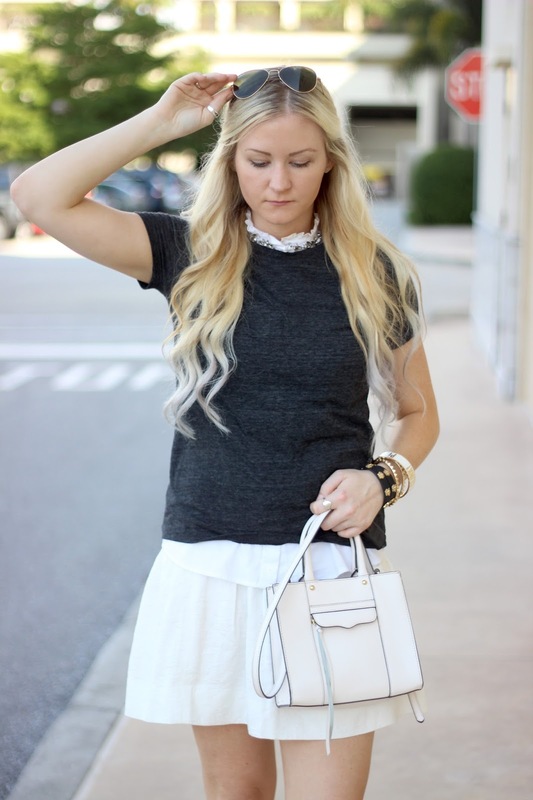 This mini mab purse is the perfect dainty detail to this outfit.